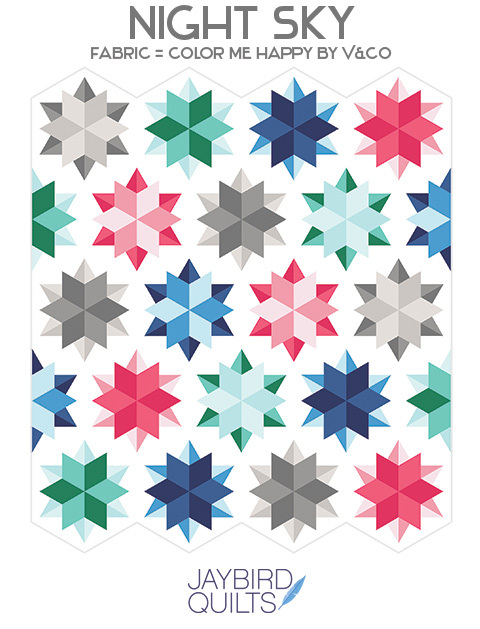 More fun with my #NightSkyQuilt = More color options + Prints! Night Sky is so much fun to make. 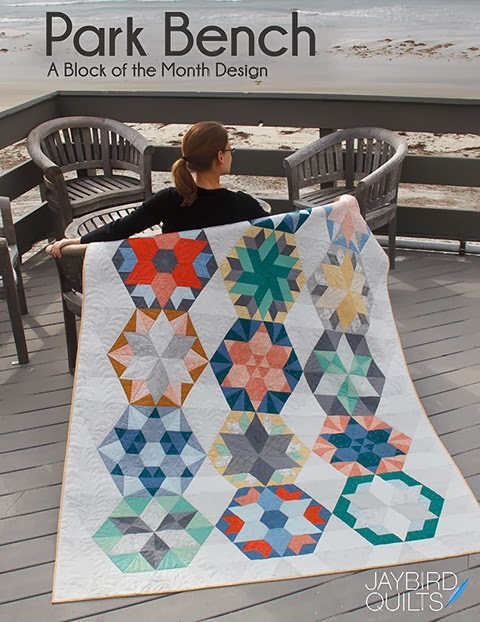 I loved working with the crew at Robert Kaufman to select the solids featured on the cover and for larger quilt tops. 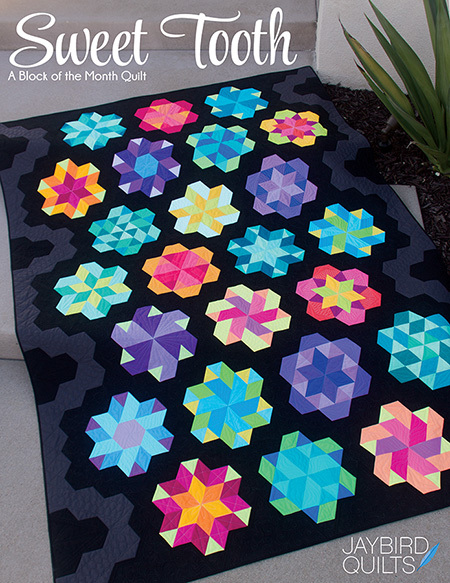 I'm also really loving the Night Sky quilts everyone is making with great prints and other colorways, too! 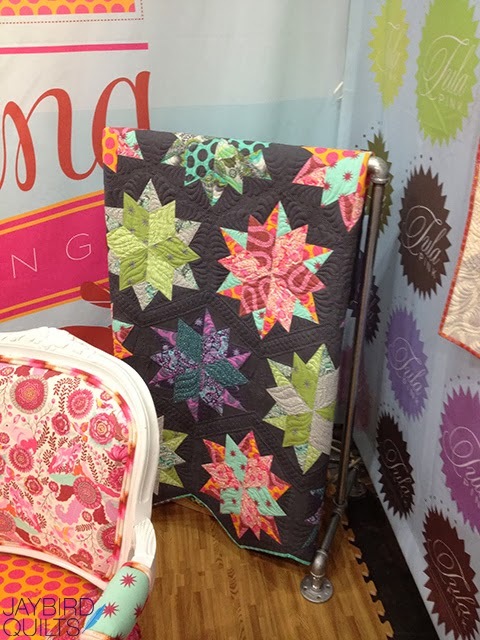 Tula made my Night Sky quilt for her booth at the Fall 2013 quilt market. 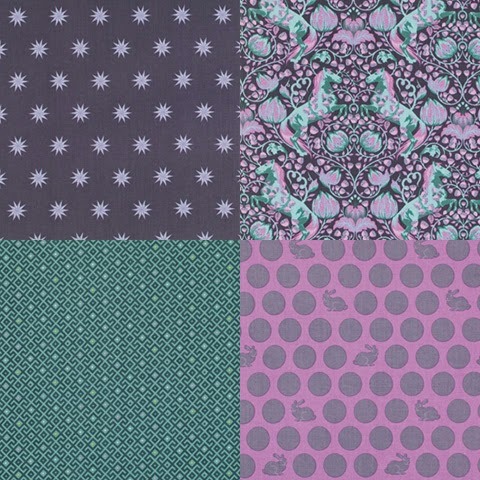 I checked with Tula and she said that she used "Manatee" from Free Spirit Fabrics as the grey background. Detail of Night Sky. 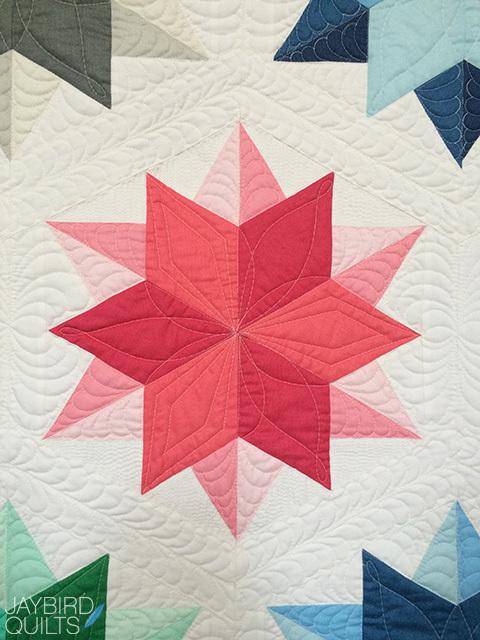 This quilt was quilted by Angela Walters. 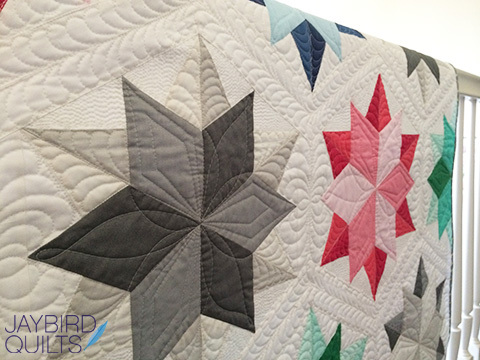 Angela did an entire blog post about the quilting that she did on this quilt. 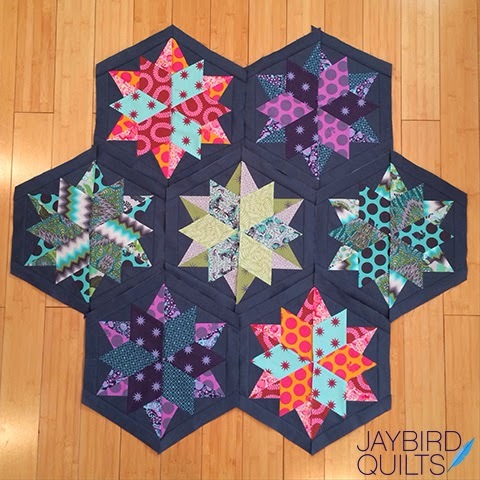 As soon as Tula Pink's new Fox Field collection made it's way to me, I had to start a Fox Field Night Sky for myself after I saw Tula's at market last October. 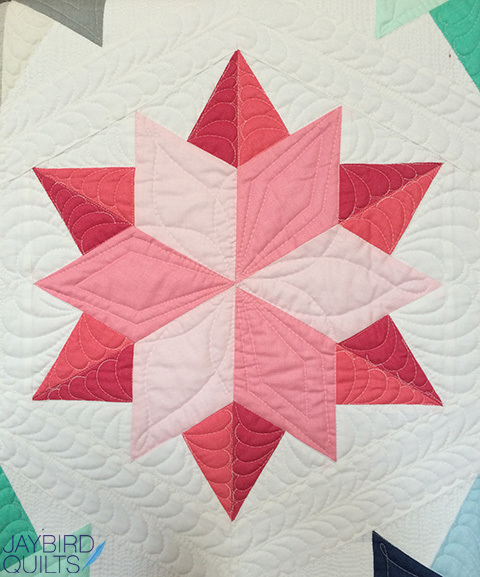 Want to make it just like Tula did? 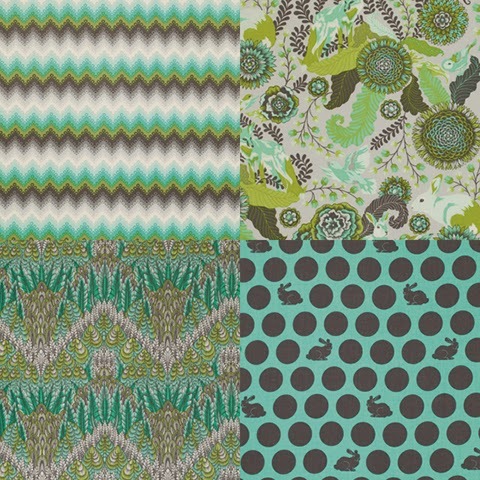 You'll need 16 fat quarters + background fabric from her Fox Field collection. 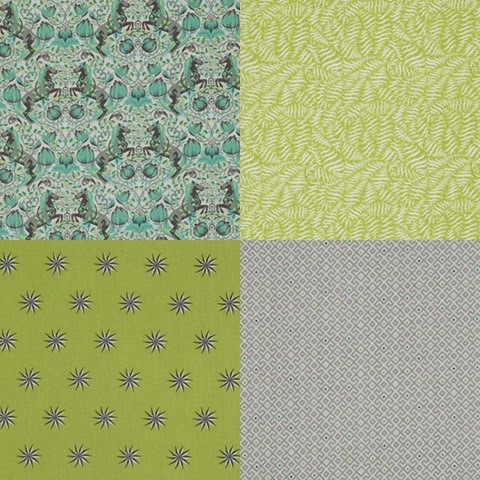 Here is the breakdown of which fabrics go together. 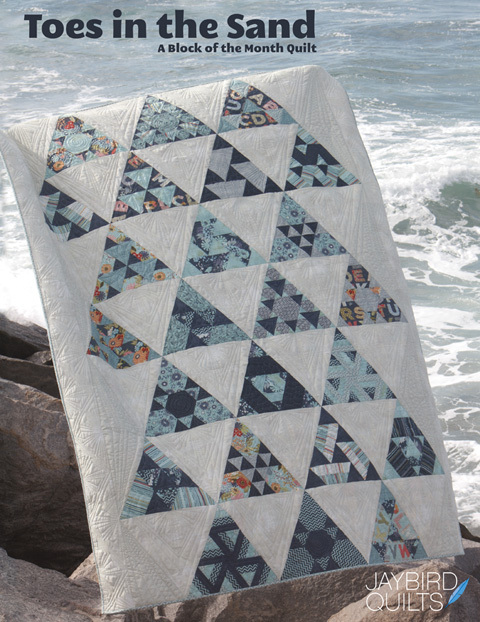 I also really love the "White Night Sky" version I made using the ombre fabrics from Vanessa Christenson's Color Me Happy fabrics. There was some discussion in the Jaybird household around calling it "White Knight Sky" or "White Night Sky." 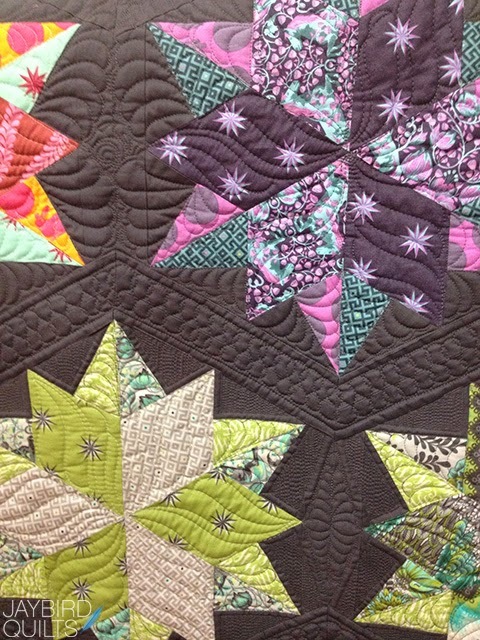 This quilt was quilted by Angela Walters. 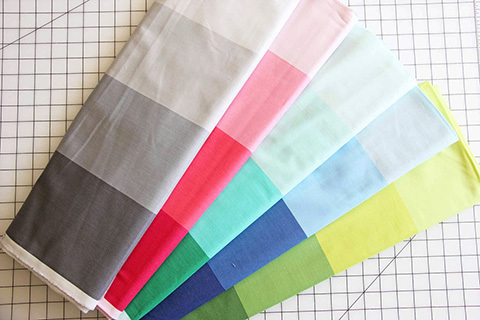 Want to make it from Vanessa's Color Me Happy Fabric? 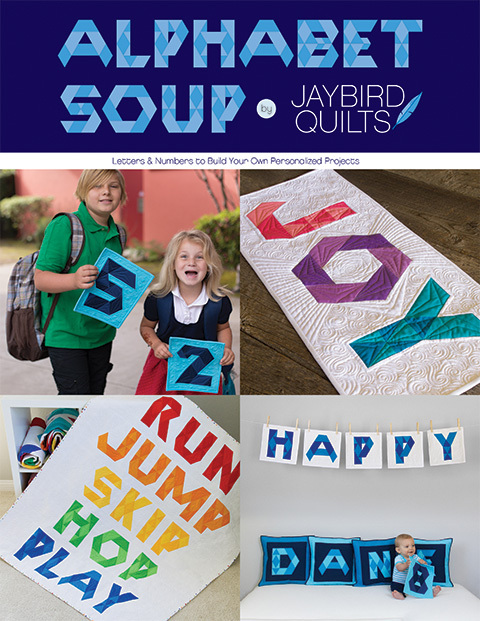 Instead of 16 Fat Quarters, you will need 1 1/8yards of 4 of her ombre fabrics. 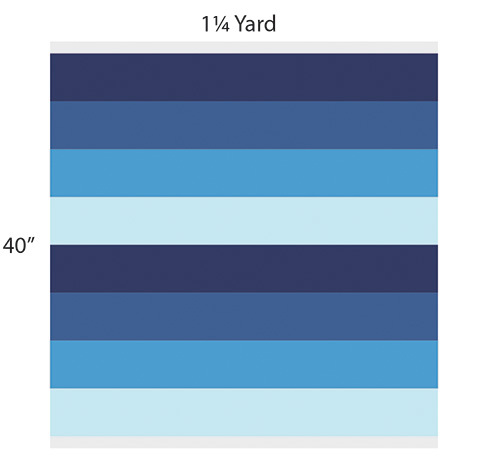 Each one has 4 sections of color printed along the length of the bolt. 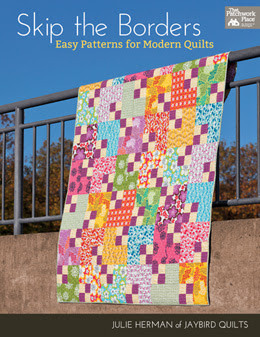 The pattern tells you to cut strips along the 21" WOF of a fat quarter. 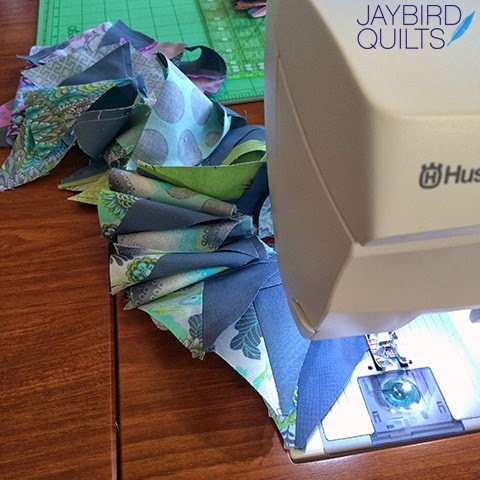 Instead you will need to cut strips along the LOF in each color section. What do you think? 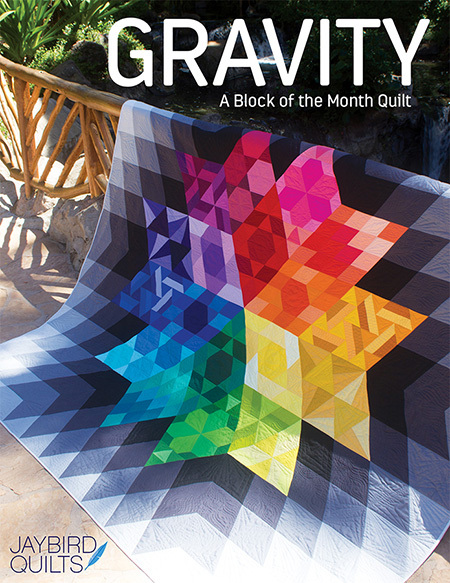 Are there any new fabric lines out you might try using in a Night Sky quilt? Tell us about them in the comments below. Thanks! 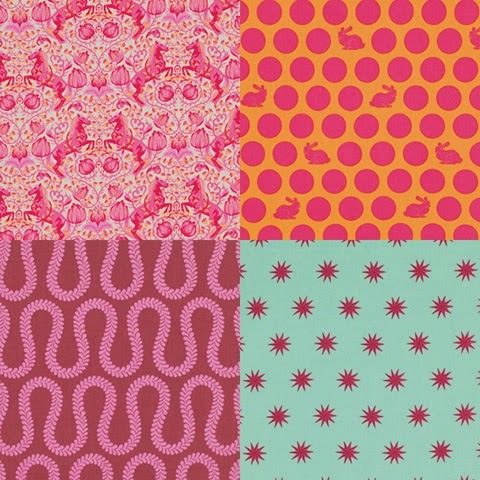 I am kind of obsessed with the sun prints and clover sunshine collections by Alison Glass. They would make a great Night sky! It would be cool, too, to use one of the ombré fabric colors as the background. Would create neat depth and movement. So I have been so busy traveling there has been no sewing for weeks. 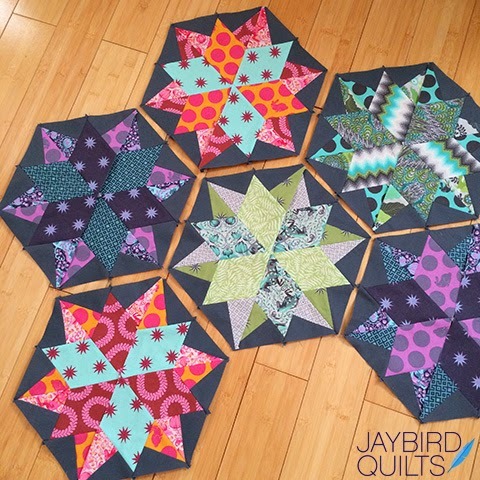 But maybe I will find sometime today to cut out some blocks and they will be ready for me to just sit down and sew down the road! I just purchased Kate Spain's Daydream with some blenders and a blue background. I cannot wait to make it!